The project involves the redevelopment of a planned community built on a 192-acre site in San Francisco. Originally constructed in the 1940s, current plans entail tripling the number of residential units to nearly 9,000. Parkmerced will become a cleaner, safer, healthier living community that residents will be proud to call home and will have a significant, positive impact on the city and the residents of San Francisco. 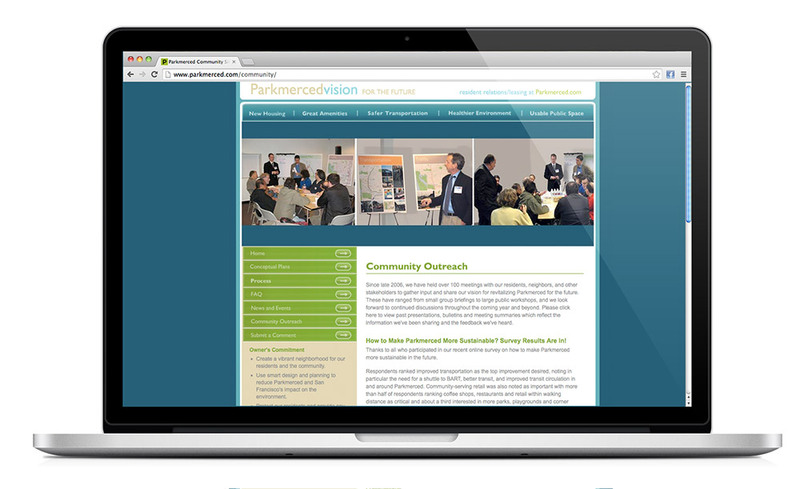 Circlepoint developed the overall community relations strategy for the Parkmerced redevelopment project. Over the course of the project, Circlepoint engaged the 7000-plus residents of the existing apartment complex and thousands of adjacent homeowners and residents in discussions about how to revitalize and expand the property in a sustainable way that would improve the environment and address existing substandard transportation infrastructure. 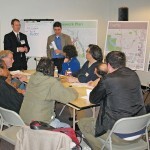 Circlepoint helped the client hold over 200 meetings with residents, neighbors, and other stakeholders to gather input and share our vision for revitalizing Parkmerced for the future. 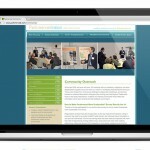 These ranged from small group briefings to large public workshops. 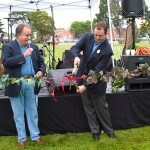 Activities included monthly residents’ meetings; formation and support for a residents’ sustainability committee; extensive meetings and discussions with all levels of stakeholders; formation and support for a committee of adjacent neighbors; a survey of more than 16,000 people on transportation issues; door-to-door outreach; and creation and distribution of a host of informative collateral, including a website, mailers, and other materials. The project received accolades from housing and sustainability advocates for its vision of preserving affordable housing and emphasizing sustainability in design. The project was approved in 2011 and will begin construction in 2015.